The share of energy generated from renewable sources in the European Union continued to grow in 2014. 24 of the 28 EU member states saw their share grow compared to 2013. 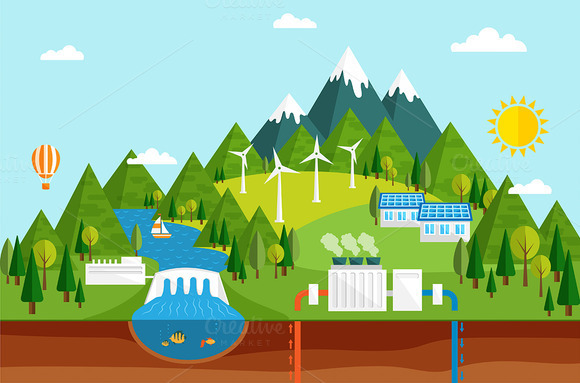 A new report from Eurostat reveals renewable sources used in gross final consumption of energy now accounts for 16% of all energy used, almost double the 8.5% used in 2004 and nine member states have already reached their 2020 targets. The highest share of renewables used for final energy consumption is in Sweden at 52.6%, followed by Latvia and Finland on 38.7%, Austria on 33.1% and Denmark with 29.2%. In contrast, in Luxembourg just 4.5% of energy comes from renewable sources, with Malta on 4.7%, the Netherlands on 5.5% and the UK languishing fourth from bottom on 7.0%. France, the Netherlands and the UK are the furthest away from their targets. Bulgaria, the Czech Republic, Estonia, Croatia, Italy, Lithuania, Romania, Finland and Sweden have met their 2020 targets. Let’s remind that each state has its own 2020 objective taking into account different starting points, renewable energy potential and economic performance. The overall target for the EU is 20% by 2020 and 27% by 2030.